Learn how to make two different kinds of books during this workshop with bookbinder Megan Stallworthy. 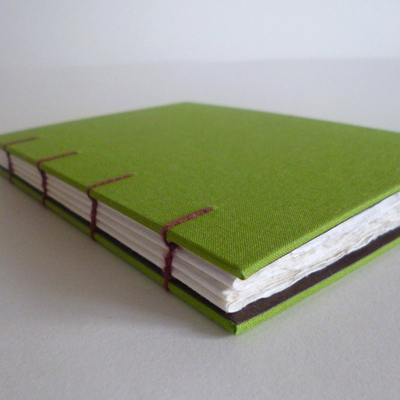 You will make and take home a Coptic style sewn binding and a concertina binding, and learn core bookbinding skills so you can continue making books after the workshop. All the materials and equipment for the workshop will be provided, and you will be given advice on what to use at home and where to find essential supplies.